OBJECTIVE: This study was designed to investigate the effects of 2450 MHz EMR on the heart and blood in rat and possible ameliorating effects of melatonin. MATERIAL AND METHOD: Thirty-two female Wistar Albino rats were randomly grouped (by eight in each group) as follows: Group I: cage-control group (dimethysulfoxide (DMSO), 10mg/kg/day i.p. without stress and EMR. Group II: sham-control rats stayed in restrainer without EMR and DMSO (10mg/kg/day i.p.). Group III: rats exposed to 2450 MHz EMR. Group IV: treated group rats exposed to 2450 MHz EMR+melatonin (MLT) (10mg/kg/day i.p.). RESULTS: In the blood tissue, there was no significant difference between the groups in respect of erythrocytes GSH, GSH-Px activity, plasma LP level and vitamin A concentration (p > 0.05). However, in the Group IV, erythrocytes’ LP levels (p < 0.05) were observed to be significantly decreased while plasma vitamin C, and vitamin E concentrations (p < 0.05) were found to be increased when compared to Group III. In the heart tissues, MDA and NO levels significantly increased in group III compared with groups I and II (p < 0.05). Contrary to these oxidant levels, CAT and SOD enzyme activities decreased significantly in group III compared with groups I and II (p 0.05). Besides, MLT treatment lowered the MDA and NO levels compared with group III. 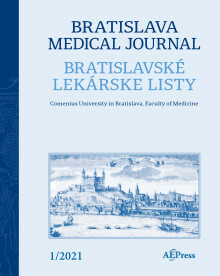 DISCUSSION: In conclusion, these results demonstrated that contrary to its effect on the heart, the wireless (2450 MHz) devices cause slight oxidative-antioxidative changes in the blood of rats, and a moderate melatonin supplementation may play an important role in the antioxidant system (plasma vitamin C and vitamin E). However, further investigations are required to clarify the mechanism of action of the applied 2450 MHz EMR exposure (Tab. 3, Fig. 1, Ref. 49).